I'm using the web version. Is there any way to "unfocus" the center goal so it isn't a solid blue background when I print? Welcome aboard – thanks for your inquiry. The blue coloring represents the selected goal in the default color theme. To remove that color in the application – and in the goal map image in any exports – click the 'cog' button at top right to open Settings and select 'Full fill goal coloring'. Then the selected goal will be represented by 'glow and shading' rather than a color (see the attached image). 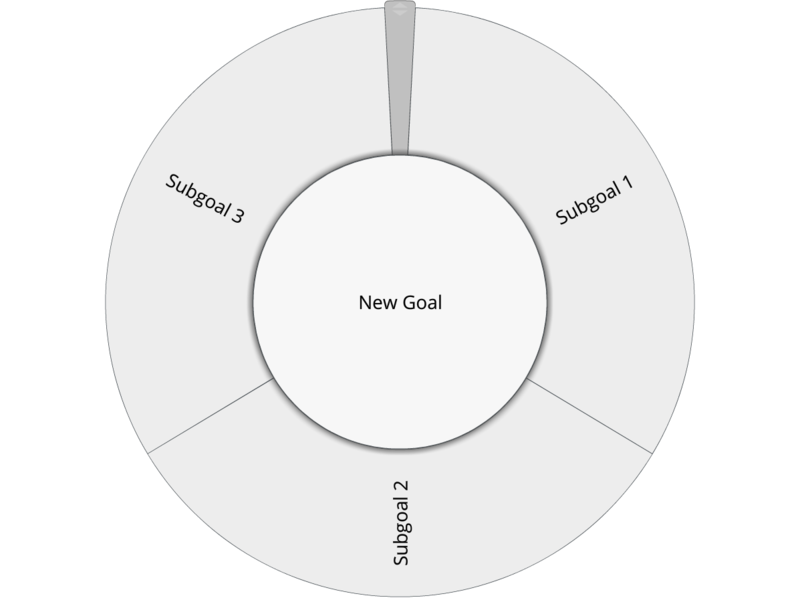 And when you apply color-coding to any goal (using the relevant option in the Goal Edit or right-click menus) that color will fill the goal slice in the goal map rather than merely outlining the goal. 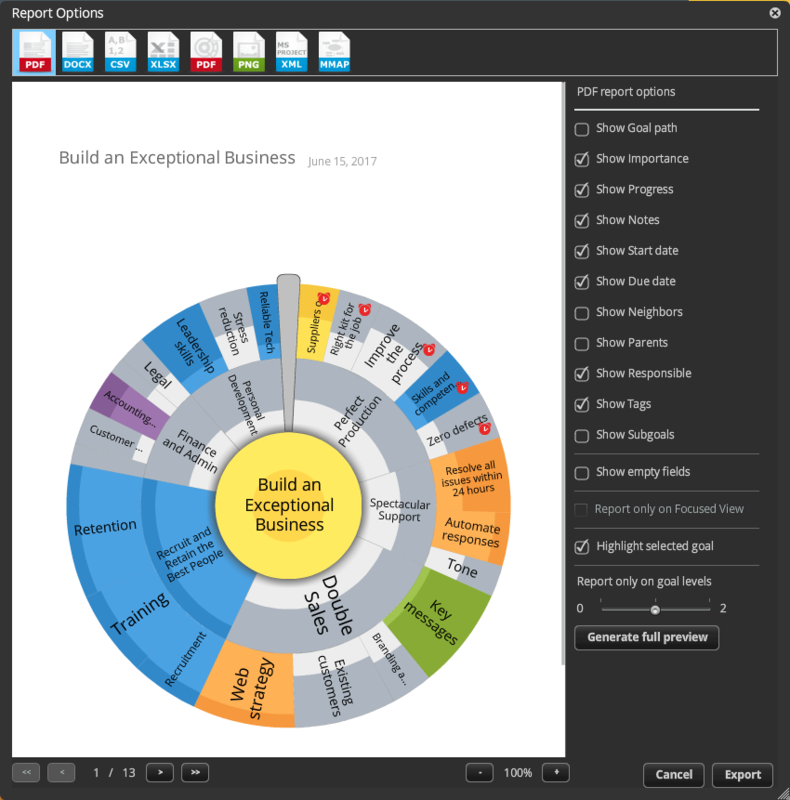 Note too that you can use the Report Options screen to preview any exported report: click Download As > Show Report Options, then select your export format by clicking its icon at the top of the Report Options screen. You can 'pre-edit' your report (or image export), then use the 'Generate full preview' button to see what the exported report (including the goal map image, if applicable) will look like. See the second screenshot (NB this is an example of a PDF report of a project that has coloring applied to certain goals, including the main goal at the center). If there is anything else you need to know please post again.